Place Copps Hill Burying Ground, Boston, Mass. Notes:� Copp's Hill Burying Ground is located in Boston, Massachusetts's North End neighborhood, overlooking Boston's inner harbor. It is a stop on the Freedom Trail walking tour of historic Boston locations. 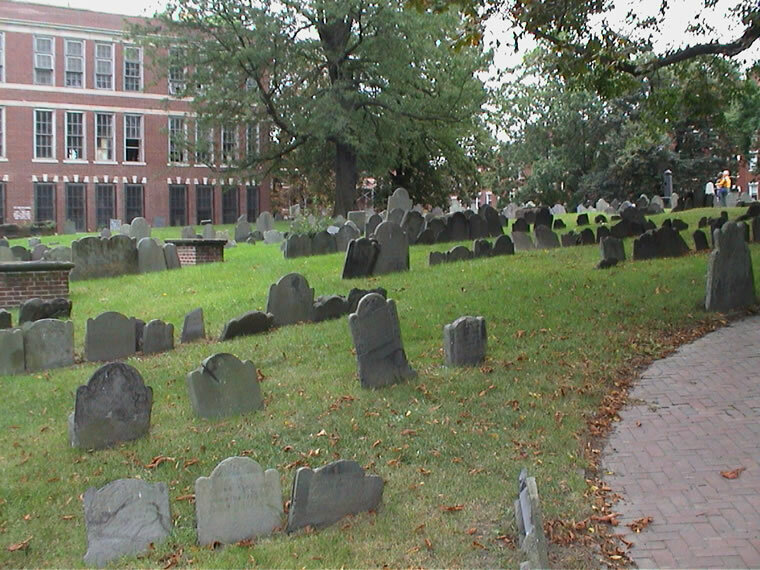 � Copp's Hill Burying Ground is Boston's second oldest burying ground. It was first founded in 1659 as Windmill Hill. The area got its name because a shoemaker, William Copp, once owned the land. � Thousands of artisans, craftspeople, and merchants are buried on the Hill. Additionally, thousands of blacks who lived in the "New Guinea" community at the base of Copp's Hill are buried in unmarked graves on the Snowhill Street side. 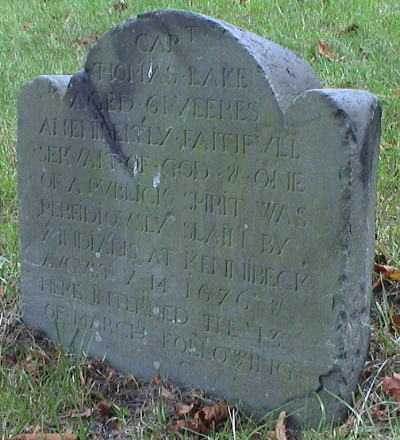 Also interred at Copp's Hill are the Mather family of ministers (including Cotton Mather); shipyard owner Edmund Hartt (builder of the "USS Constitution"); Robert Newman (best know for placing the signal lanterns in the steeple of the "Old North" Church on the eve of the Battle of Lexington and Concord); Shem Drowne (the weathervane maker who crafted the grasshopper atop Boston's Faneuil Hall); and Prince Hall (the anti-slavery activist and founder of the Black Masonic Order). � Because of its height and the fact that it overlooked the mouth of the Charles River, the site was used by the British in 1775 during the Battle of Bunker Hill to train their cannons on Charlestown. Many of the gravestones here still show bullet marks from the British soldiers who used them for target practice while encamped.